Watch and follow as Sausage clearly shows you how to remove a Vespa engine from its frame, strip it down to its last nut and bolt and then completely rebuild it, replace it, and start it up! 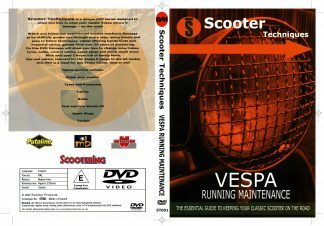 At over 5 hrs long, this double dvd is broken down into individual chapters and is a must whether you want to learn how to completely rebuild your engine or simply replace your clutch or top end. 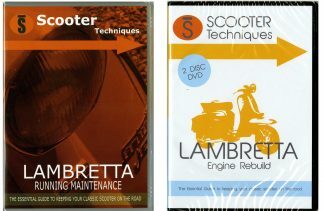 Throughout this DVD Sausage uses his 20yrs experience to show you the viewer how to use the correct tools, offering countless tips and helpful hints and showing you how to identify worn parts that need replacing. 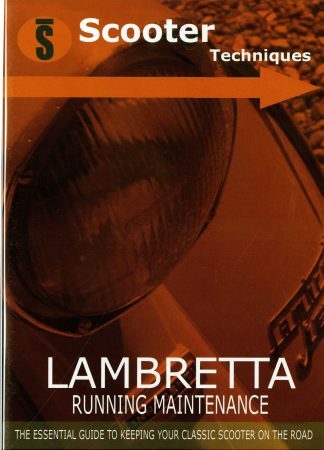 Again, in stunning digital widescreen, this UK produced quality double DVD is a genuine first that all Vespa owners new or old should not be without. PAL format only – This dvd can be viewed also in NTSC regions with a compatible system e.g. laptop computer or via a UK DVD. 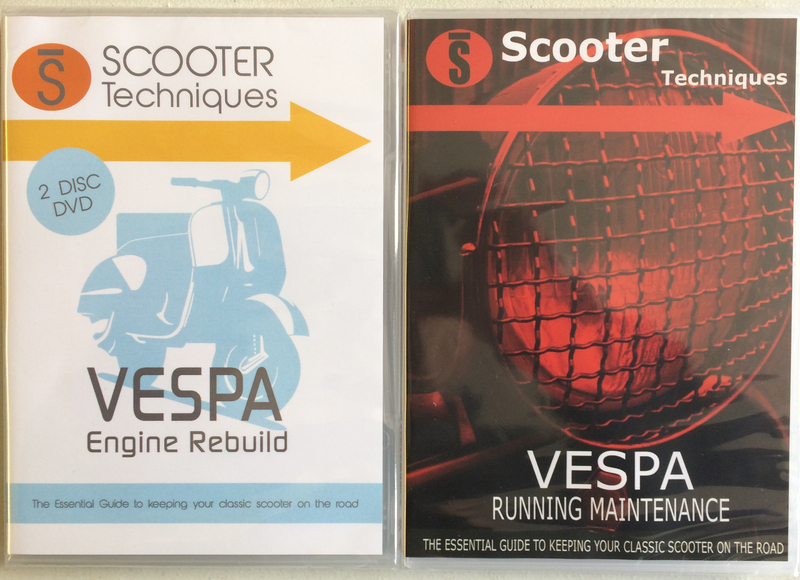 Based around a P range Vespa, he also takes a look at an older GS model, highlighting differences between the older Vespa models. This quality product, shot in full digital widescreen.